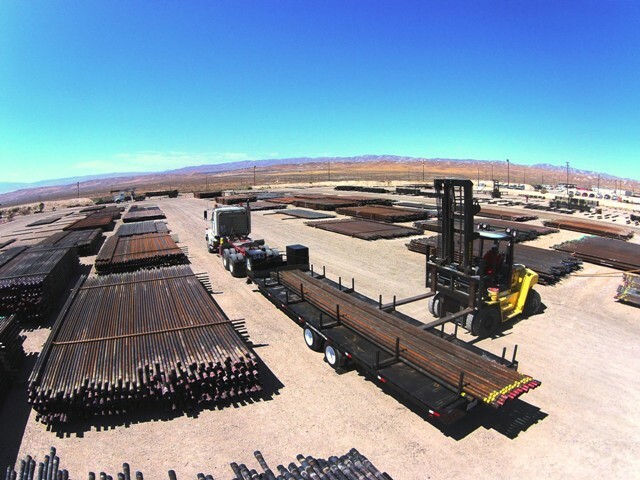 Specializing in oil country tubular goods (OCTG), we have over 75 years of collective managerial experience in setting up, running and sustaining a full service yard management solution. Whether it is small dimension tubing or large dimension line pipe, we have experience safely loading and unloading, racking and transferring, and stacking and storing tubulars of all sizes and weight. We have the expertise to choose the correct size forklift and qualified operators to move materials in the yard. We also have the administrative experience to train and deploy clerks to effectively transact all the activities of the yard on a daily basis. In Addition, Weststar has in place a customized inventory management software, Raptor Material Manager, which equips the boots-on-the-ground workers to accurately and consistently communicate inventory movement and location to upper management and customer representatives. We have a proven track record of yard management for major oil & gas operators in California. We focus on API compliance in all applicable areas and insure inventory integrity and accuracy for many years and would like to offer the same comprehensive service to you. Whether it is down-hole materials, facilities project, surplus or consignment inventory from multiple vendors, no yard management strategy is outside our capacity or expertise. Dry goods warehouse storage facility storing various media for dehydration and steam operations plants. Media consisted of synthetic resin and walnuts shells in various formats including pallets, drums and super sacks of different sizes. Approximately 10 acre OCTG storage yard supporting the well maintenance operations of a large oil & gas operator in central California, yard staffed 25 operators, helpers, clerks and supervisors that safely transacted over 50 activities daily. Hours of operation customized to support rig operation and mitigate over time charges. 10 acre lay down yard supporting construction of a stainless steel water softening facility for oil & gas operator working in collaboration with multiple contractors to facilitate inspection, assembly and fabrication as needed before being deployed to the field for installation. Project lasted 3 years and occurred without accident, incident or loss of inventory.